If you do not like a book, throw it away. There is no compulsion to read a book. Literary tastes may vary – what is right and acceptable to one may not be so to others, said the Bench. The Bench has held that there is no necessity warranting action against any publication of the Tamil novel “Madhorubagan” or its English translation by name “One Part Woman. “Whether the society is ready to read a particular book and absorb what it says without being offended, is a debate which has been raging for years together. Times have changed. What was not acceptable earlier became acceptable later. “Lady Chatterley’s Lover” is a classical example of it. The choice to read is always with the reader. If you do not like a book, throw it away. There is no compulsion to read a book. Literary tastes may vary – what is right and acceptable to one may not be so to others. Yet, the right to write is unhindered. If the contents seek to challenge or go against the very Constitutional values, raise racial issues, denigrate castes, contain blasphemous dialogues, carry unacceptable sexual contents or start a war against the very existence of our country, the State would, no doubt, step in” said the Bench. We are thus of the view that W.P. No.1215 of 2015 be allowed and the prayer sought therein granted to the extent that there is no binding force or obligation arising from the so called Settlement arrived at with the intervention of the State Authorities on 12.1.2015 and a quietus be given to that issue. There is no necessity warranting action against any publication of the Tamil novel “Madhorubagan” or its English translation by name “One Part Woman”, as sought for by the opponents of the novel and therefore, W.P. No.20372 of 2015 stands dismissed. There can also be no possible direction for any police action against the author and/or the publisher, or for any case to be registered or proceeded further, in view of what we have discussed and therefore, Crl. O.P. Nos.7086 and 7153 of 2015 also stand dismissed. Insofar as the areas of concern expressed by us in the guidelines enumerated hereinabove are concerned, they should be adhered to and circulated by the State Government for the benefit of the Police and State Authorities, and the Expert Body as directed, should be constituted with independent experts from different fields after proper consultations, within a period of three months of the receipt of the order. "A book cannot be dismissed merely as sensational, reactionary or mean-spirited. A publisher evaluates the work of an author on the quality of its sourcing and writing. 187. In “Madhorubagan”, the author Dr. Perumal Murugan did not set out to explode any myths, but conducted research about what he believed to be ‘revealed truths’ that are far more complex in nature. He decided to “follow the facts where they led”, without regard to any consequences. For that, he has been vilified. In truth, not a single fact stated in the novel had been seriously challenged ever since its publication in Tamil. It is only after the publication of the novel’s English version, understandings that otherwise would have remained in darkness came to light. Can a blanket banning of the novel mean that the true perspective and storyline of this novel will not get addressed in our society?" The Supreme Court expanded the jurisprudence on the concepts of constitutional fraternity vis-à-vis fundamental duties as constituting the core principles of our Constitution, whereby the sense of respect and dignity that is to be offered to another and his views, his beliefs and his practices are termed as a constitutional norm; fraternity thereby assuring the dignity of the individual and the collective unity of the nation. Thus, whenever free speech and expression is sought to be given wings and let loose against the backdrop of one’s creativity, it must carry on its flight within the domain of constitutional morals, forever remembering that while individual opinions and forms of expression are critical to advancement and multifaceted national development, equally important is the safeguarding of the dignity and respectability of another and his cherished beliefs, for the latter must never be compromised on account of the freedom guaranteed under 19(1)(a), as the victim in such circumstances will be no less than the constitutional heartbeat of fraternity – The national brotherhood. Even in matters of this nature, the State may endeavor to diffuse the situation, but not permit proponents of free speech, authors and artistes, as the case may be, to be put under pressure by surrounding circumstances. On the other hand, the endeavor should be to preserve the rights of expression through other modes. There is thus a requirement of mixing care with caution so that such endeavors do not result in malicious proceedings merely based on a perspective of another set of people, who may have different mores. Every action of a State authority must be in accordance and in conformity with law. If a power is sought to be exercised by the State Agency, the person receiving a notice must be shown as under what provision of law it is being done. There is bound to be a presumption in favour of free speech and expression as envisaged under Article 19(1)(a) of the Constitution of India unless a court of law finds it otherwise as falling within the domain of a reasonable restriction under Article 19(2) of the Constitution of India. This presumption must be kept in mind if there are complaints against publications, art, drama, film, song, poem, cartoons or any other creative expressions. The State's responsibility to maintain law and order would not permit any compulsion on the artistes concerned to withdraw from his/her stand and non-State players cannot be allowed to determine what is permissible and what is not. It is high time the Government constitutes an expert body to deal with situations arising from such conflicts of views, such expert body to consist of qualified persons in the branch of creative literature and art so that an independent opinion is forthcoming, keeping in mind the law evolved by the judiciary. Such an expert body or panel of experts would obviate the kind of situations we have seen in the present case. In such matters of art and culture, the issue cannot be left to the police authorities or the local administration alone, especially when there is a spurt in such conflicts. The State has to ensure proper police protection where such authors and artistes come under attack from a section of the society. Regular programmes need to be conducted for sensitizing officials over matters dealing with such conflicts of artistic and literary appreciation. In M.F. Hussain's case (supra), the judgment began with reference to Pablo Picasso, a renowned artiste, who defined art as “Never being chaste and what is chaste not being art”. Since in the same way writings are vehicles of personal expression, they must be understood and appreciated, even if provocative, keeping in mind our rich cultural heritage. The ancient Indian Art as depicted has encompassed eroticism as part of it. Of the so called folklore referred to by the author here, there is material to show that it was not something unknown – and this is why he has labelled his book as a novel. All writings, unpalatable for one section of the society, cannot be labelled as obscene, vulgar, depraving, prurient and immoral. There can hardly be any improper intent or motive assigned to the author in the present case, who even went backwards to ensure that the hurt feelings of all are assuaged. He is a writer who had imbibed education and grown from the same very town, holding it in high esteem. There cannot be a new puritanism imbibed in this civilization of variant cultures. We are not stating that the creative freedom of an artiste is unhindered. We have referred to the fact that these are not matters concerned with security of the State or of denigration of any religion or a class of people. A section of people are just seeking to put themselves or their ancestors in the shoes of persons who are affected because of a reference to a location and a folklore, which description of location also stood withdrawn subsequently, since the author believed it was a work of fiction and could have been based anywhere else. There has to be an attitude of tolerance towards writings which have existed for ages and which come into being, which may not be “of our kind”. The author and artistes like him cannot be under a constant apprehension that if he deviates from the oft-treaded path, he will face adverse consequences. The opponents of the novel may certainly be entitled to its critique, as the proponents of the novel are entitled to applaud it. But shutting down life of the town, holding it to ransom and effecting threats to the author is not the way. The State also performs an important role along with the judiciary in protecting these individual rights and freedoms. The author Prof. Perumal Murugan should not be under fear. He should be able to write and advance the canvass of his writings. His writings would be a literary contribution, even if there were others who may differ with the material and style of his expression. The answer cannot be that it was his own decision to call himself dead as a writer. It was not a free decision, but a result of a situation which was created. 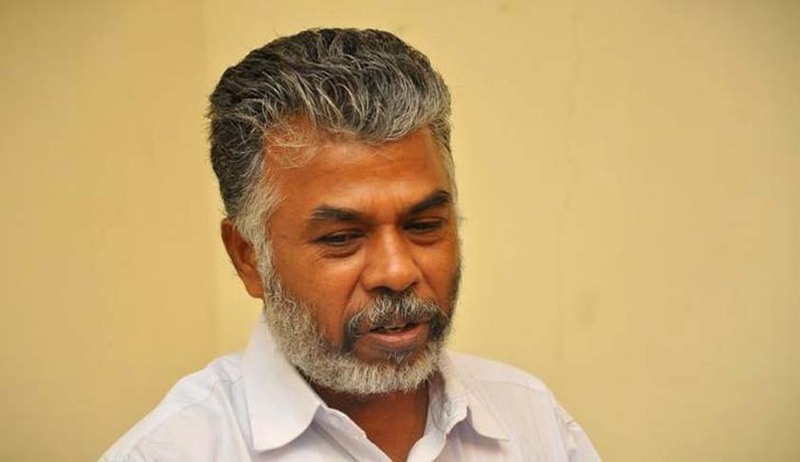 Time is a great healer and we are sure, that would hold true for Perumal Murugan as well as his opponents; both would have learnt to get along with their lives, we hope by now, in their own fields, and bury this issue in the hatchet as citizens of an advancing and vibrant democracy. We hope our judgment gives a quietus to the issue with introspection on all sides. Time also teaches us to forget and forgive and see beyond the damage. If we give time its space to work itself out, it would take us to beautiful avenues.